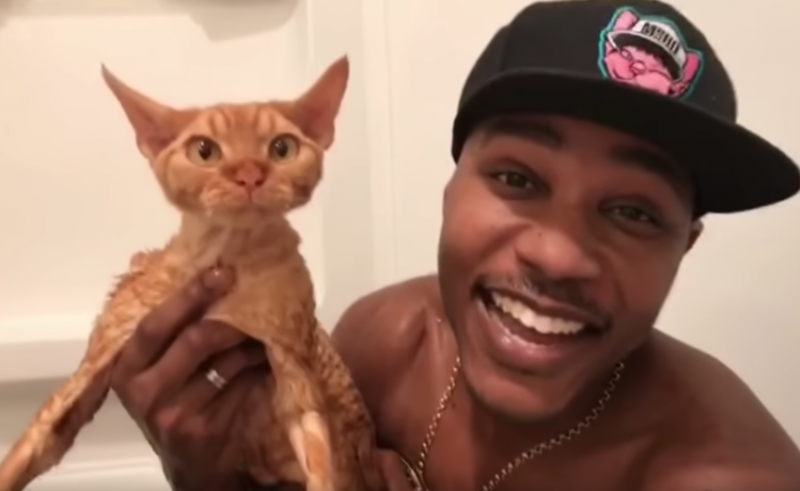 This man loves his cat, so much that he not only takes the time to get into the tub to give his kitty, Ravioli, a bath, he raps about it. And the message? It’s good, whether you are a believer in cat baths or not. Ravioli was definitely not happy. My cat, Izzy, would tear my face off.